Among the sparkling city lights and hum of vibrant activity, London is one of the world's most loved and esteemed capital cities. 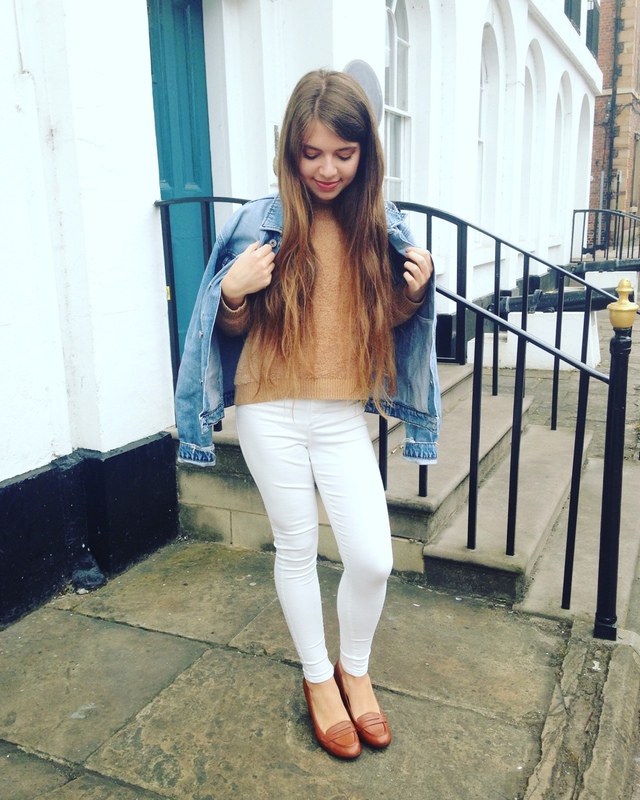 Famed for it's fashion and romanticised as a place where anything can happen, you can meet unexpected people and create a life which is truly remarkable and unlike any other. It is an urban metropolis which holds a thousand and one possibilities for those who live, work or play there. 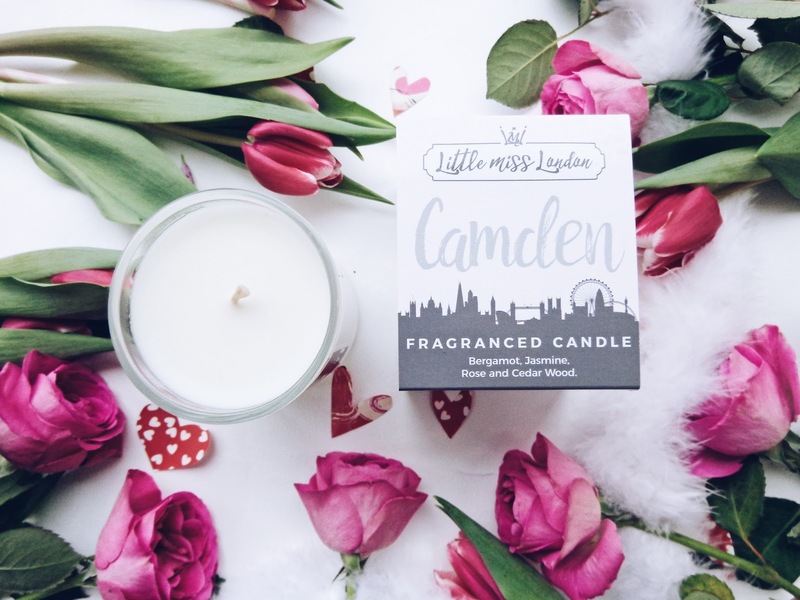 Today, I am bringing you another fabulous blog post on Little Miss London, a bespoke candle company whose heart truly belongs in the city. 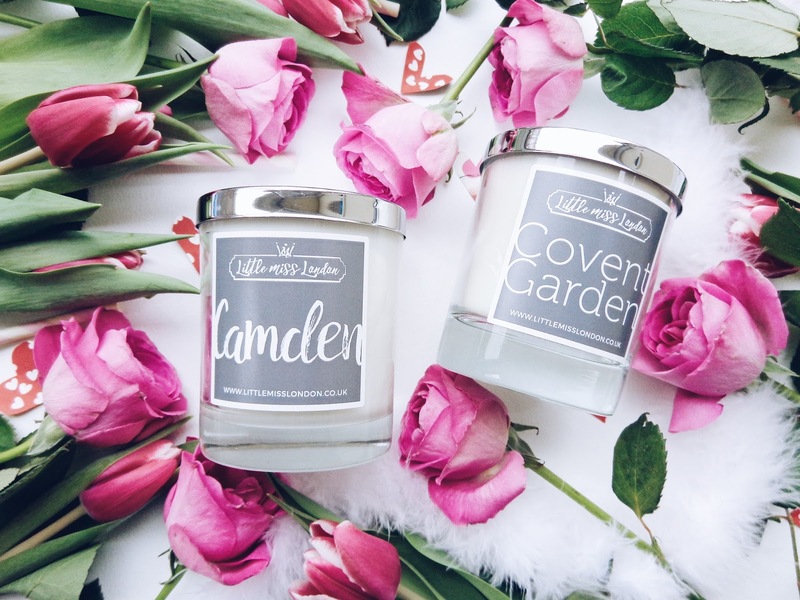 You may have seen my first post on Little Miss London before too, where I wrote about the Little Miss Chelsea and Little Miss Notting Hill candles in their bespoke collection. If you haven't yet read it, you can check it out here. 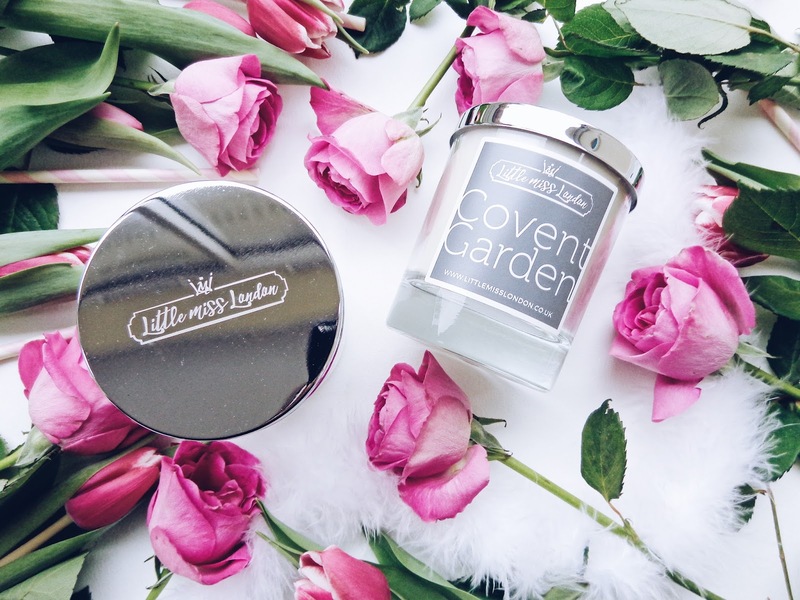 Today, I am writing about two different and sophisticated Little Miss London candles, but before I tell you what they are, I wanted to mention that the Little Miss London collection has also recently expanded to encompass four brand new fragrance varieties, meaning their collection now spans and represents eight of the most highly esteemed, fashionable and sought after neighbourhoods which London has to offer. 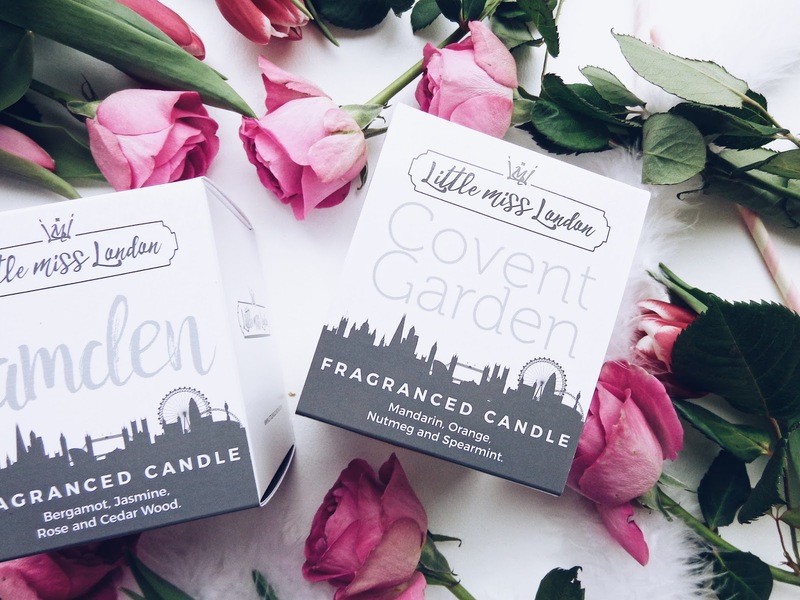 The new ladies on the block include Little Miss Mayfair, Wimbledon, Primrose Hill and Shoreditch. 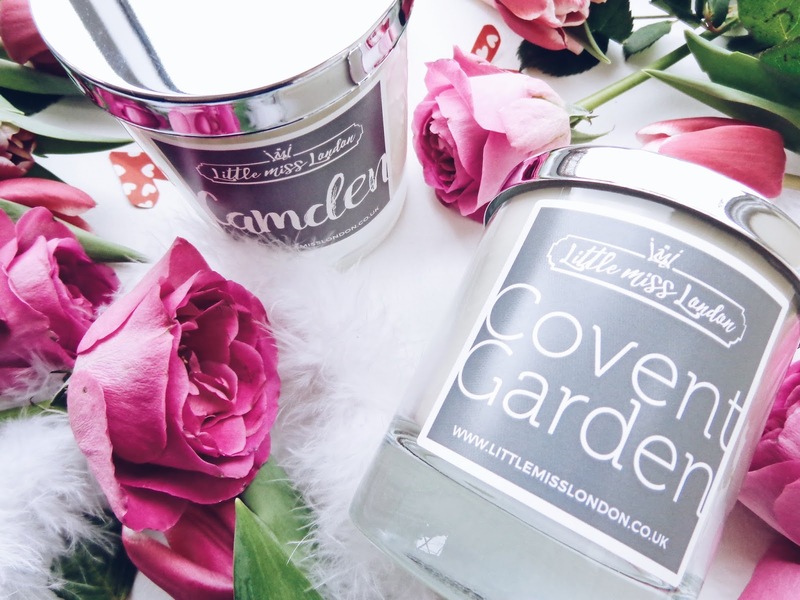 But today, I am writing about two of the originals, Little Miss Camden and Little Miss Covent Garden, both as chic and fabulous as each other. 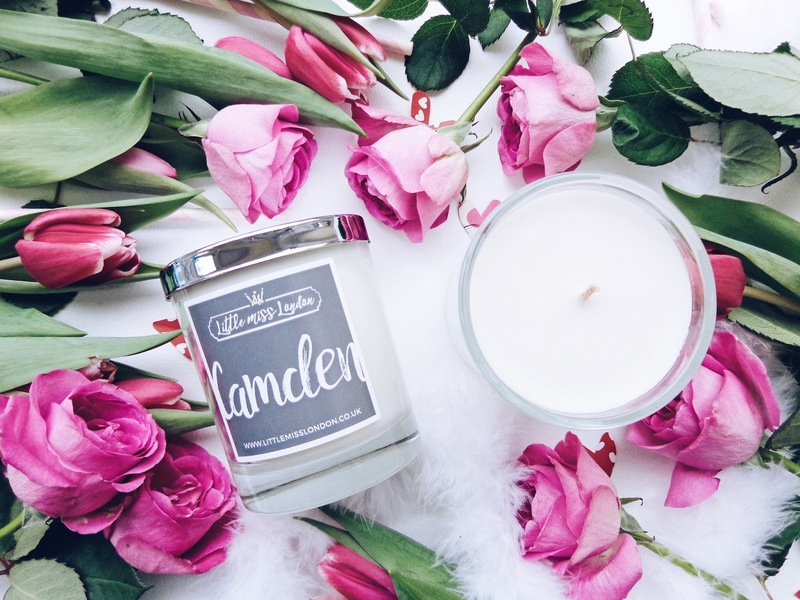 Infused with natural essential oils which help to create the ultimate relaxing ambiance to bring balance and a sense of ease and harmony to a room, a Little Miss London candle would also make a perfect Valentine's gift, as they can be tailored to the person whom you are buying it for. The location it represents and therefore the vibe which it has can be used to reflect the personality of its recipient, which adds a personalised feel and custom made, thoughtful touch, which is perfect for Valentine's Day. 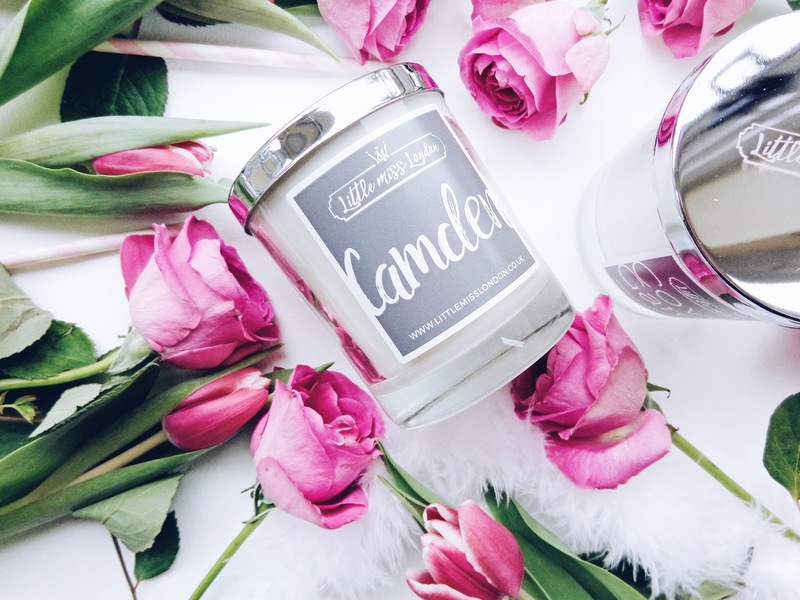 This candle has an earthy aroma with gentle floral undertones to quintessentially match this hipster and creative segment of the city. Camden is a place which I can visit time and time again and never tire of it. 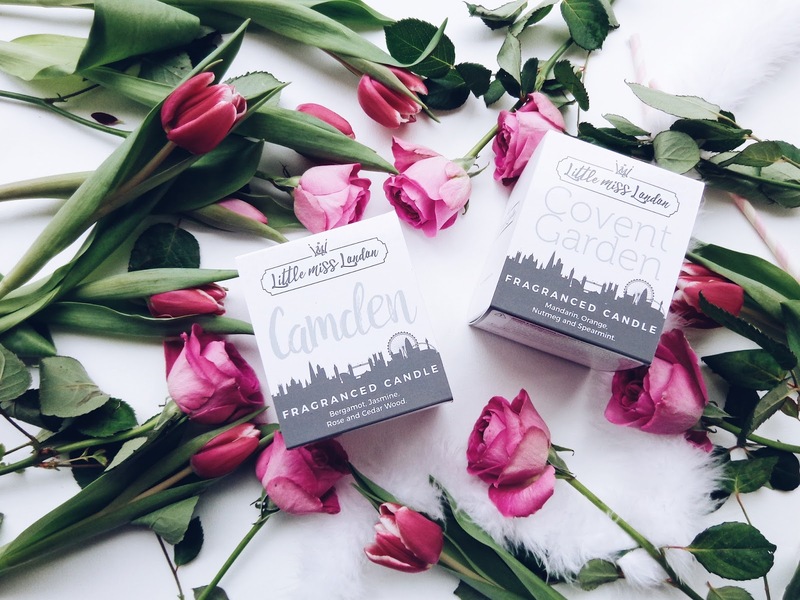 With such an array of different artistic, creative people and businesses lining the street and especially in the famous Camden Market, you can immerse yourself in the sights, scents and colour of it all and get truly lost in the passages which lead you to one off shops and stalls, which Camden has so many of. 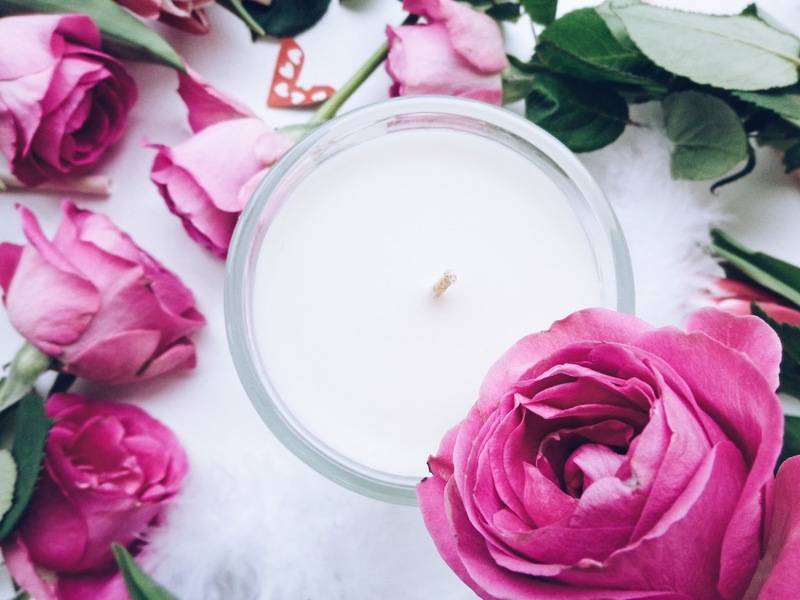 With aromatic Bergamot, Jasmine, Rose and Cedar Wood, this candle balances a hip, bohemian vibe with a sweetness which creates a wonderfully appealing smell that both awakens and relaxes the senses simultaneously. 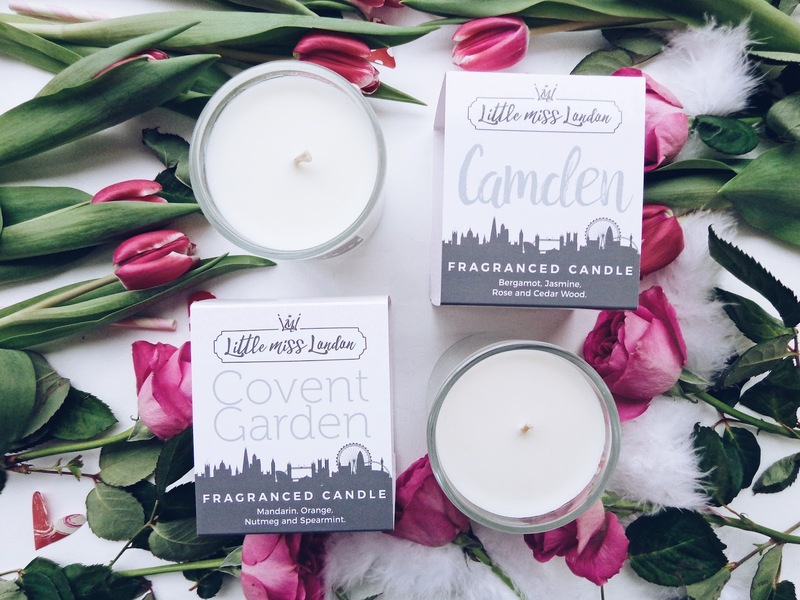 Little Miss London candles are carefully hand poured and they have a luxurious burn time of 40 hours so you can enjoy and indulge in their aroma for ages! 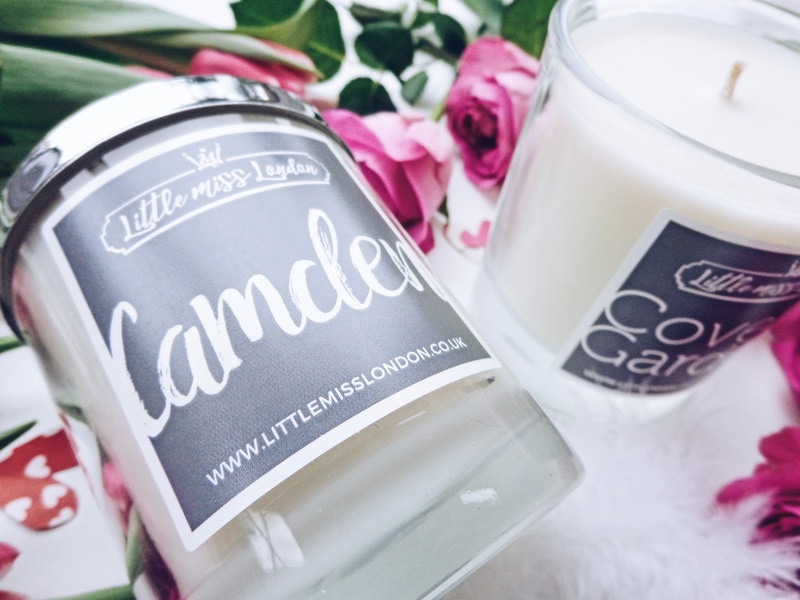 Shop the Little Miss Camden candle online. 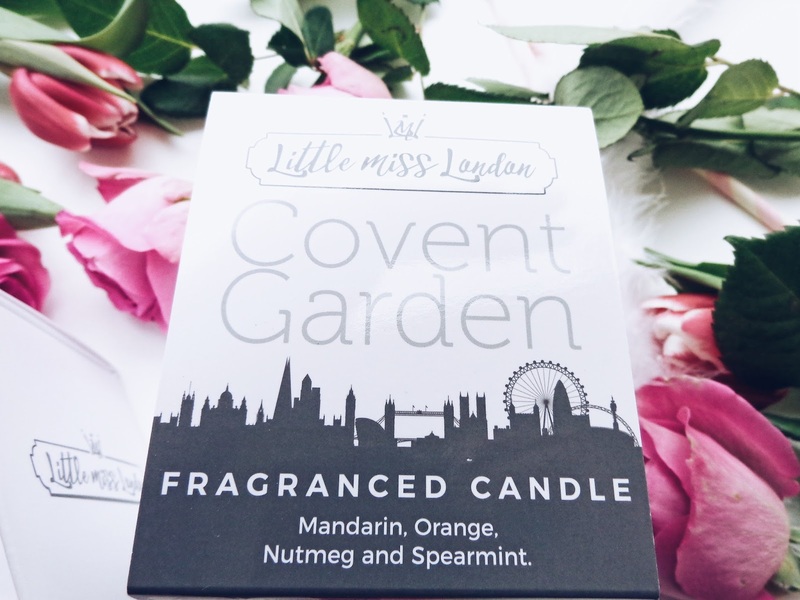 Little Miss Covent Garden is a fresh and zesty affair with vivacious notes of peppermint, mandarin and orange to instantly lift your mood! The aromatic addition of nutmeg is warming and sweet, as well as perfectly complimentary to the citrus notes. (Citrus and nutmeg is a delicious flavour combination, as well as scent amalgamation!) 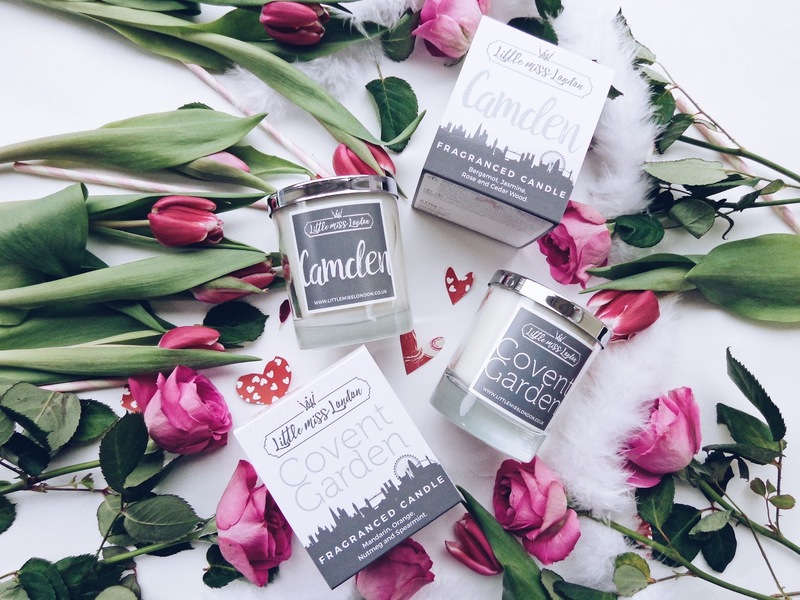 These smells are reflective of the memorable nature of this candle as well as this part of London town. 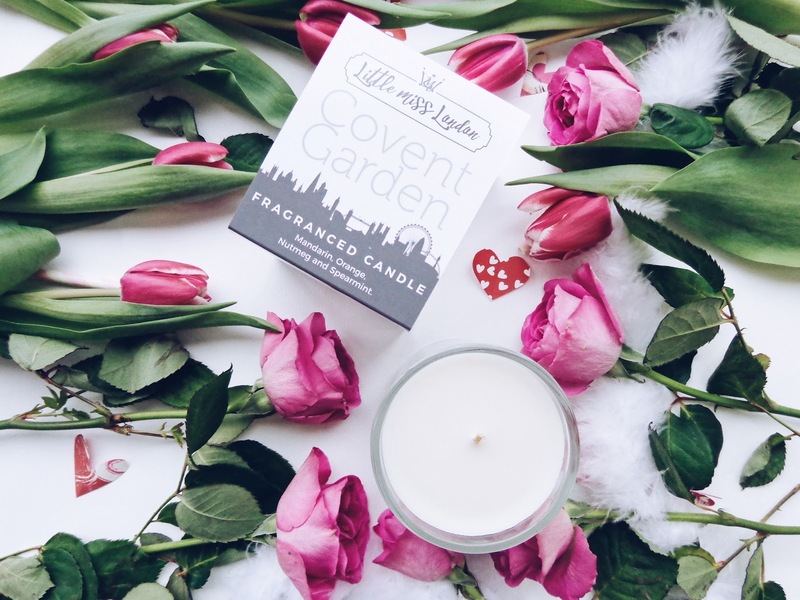 With a fantastically eclectic array of artisan shops, craft stalls in the main Covent Garden market square, cafes and the oh so famous Pineapple Dance Studios, Covent Garden is a place unlike any other. 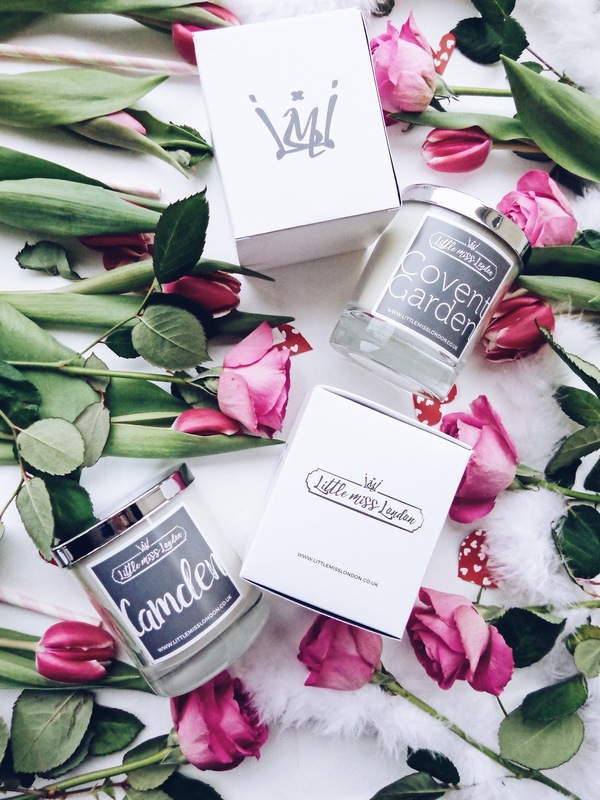 Check out the full boutique candle range online here.